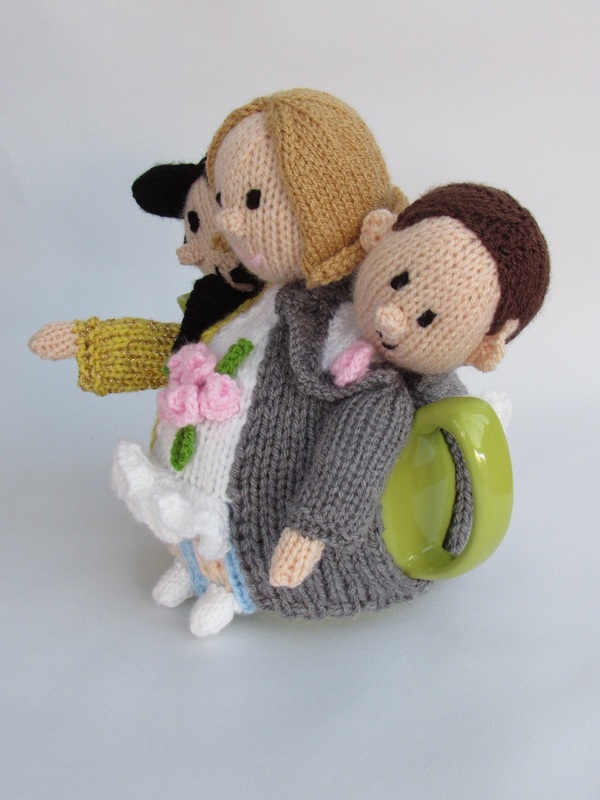 Did you say I do in front of Elvis? 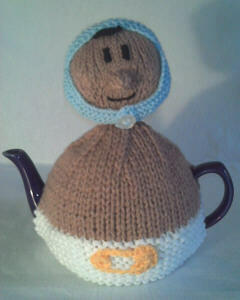 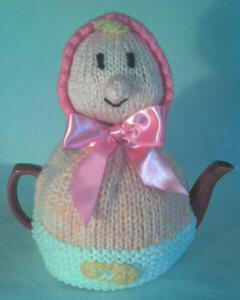 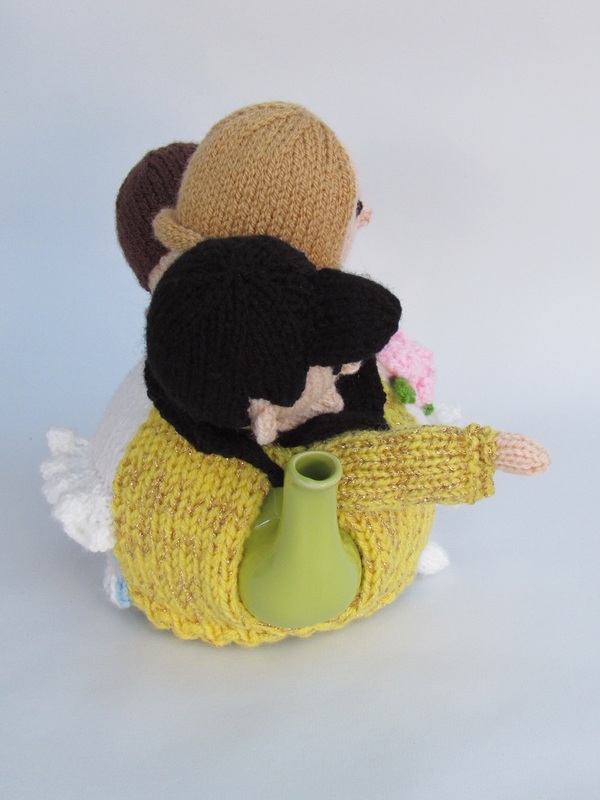 This tea cosy is a tea cosy for anyone who got married by Elvis in Las Vegas. 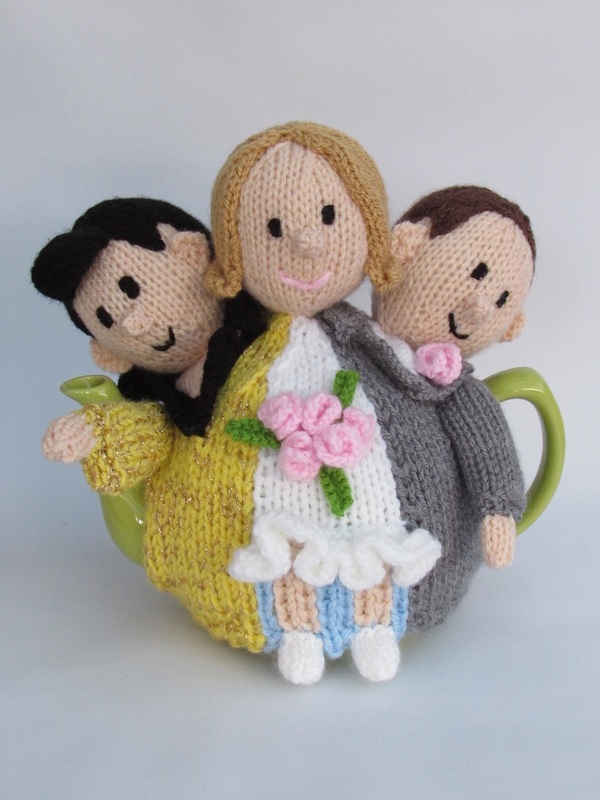 The cosy has a bride, groom and the King of rock and roll depicted on it. 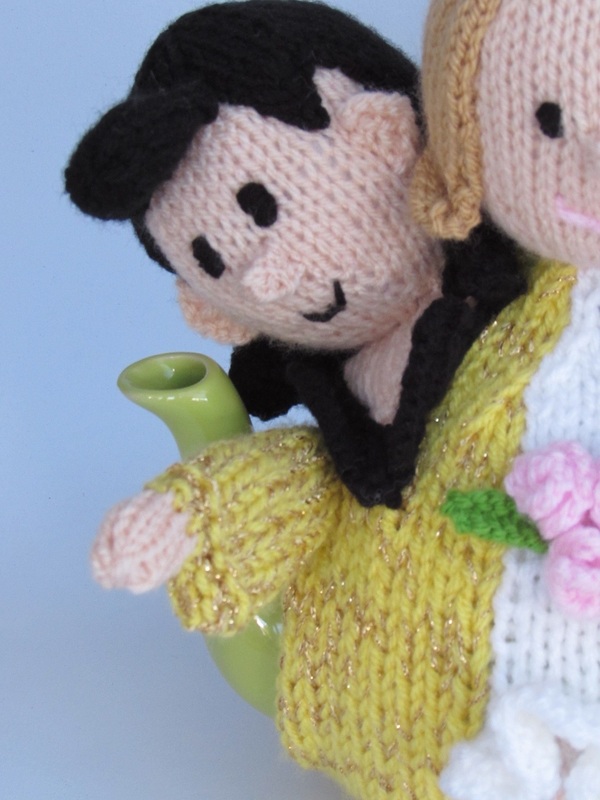 Elvis is wearing a golden jacket, and he has his iconic quiff. 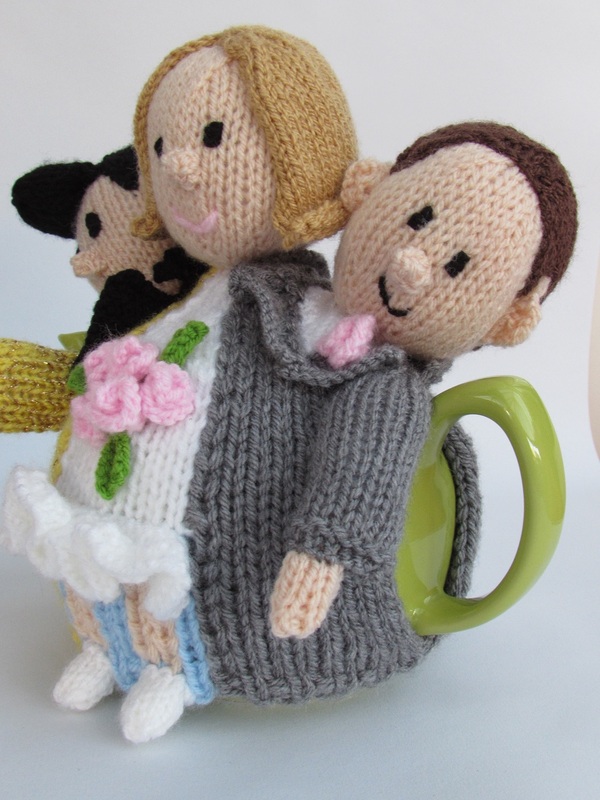 The bride is wearing cream and is holding pink roses. 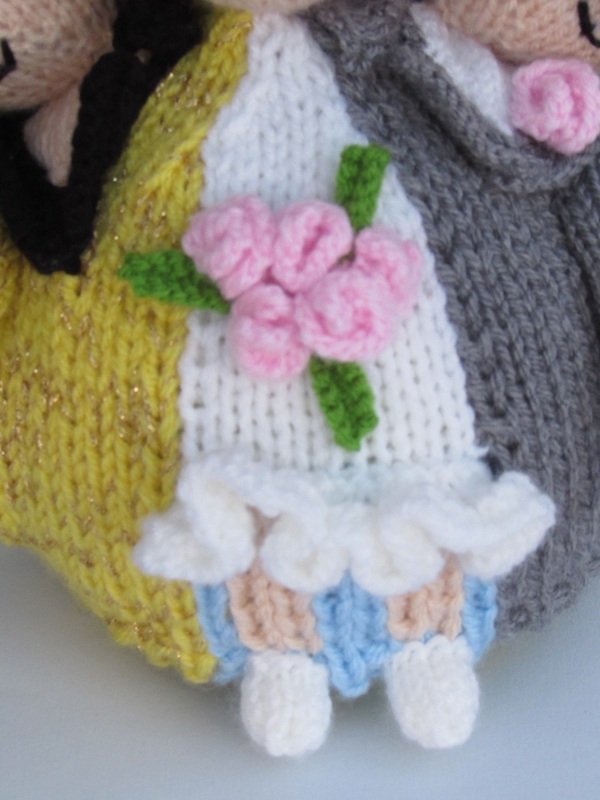 Her dress has a little ruffle along the hem and you can see her little cream shoes. 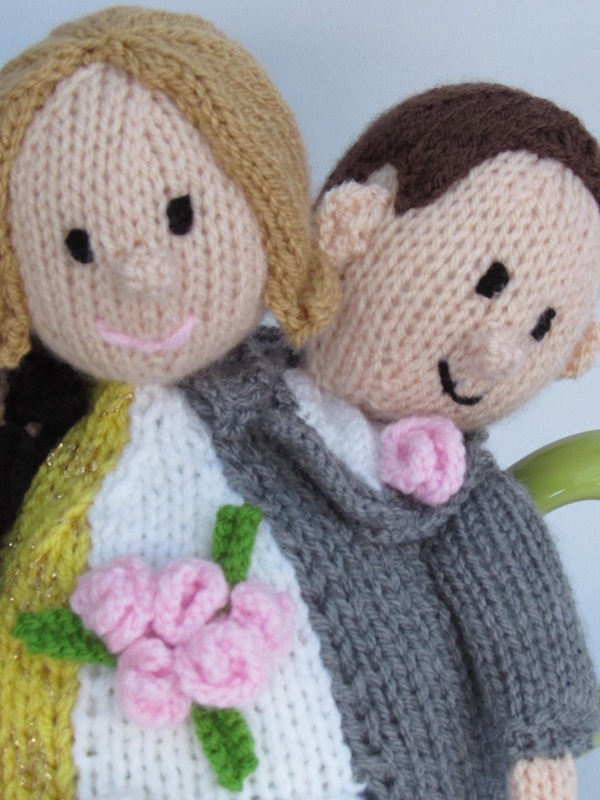 The groom is wearing a dark grey suit with a pink buttonhole. 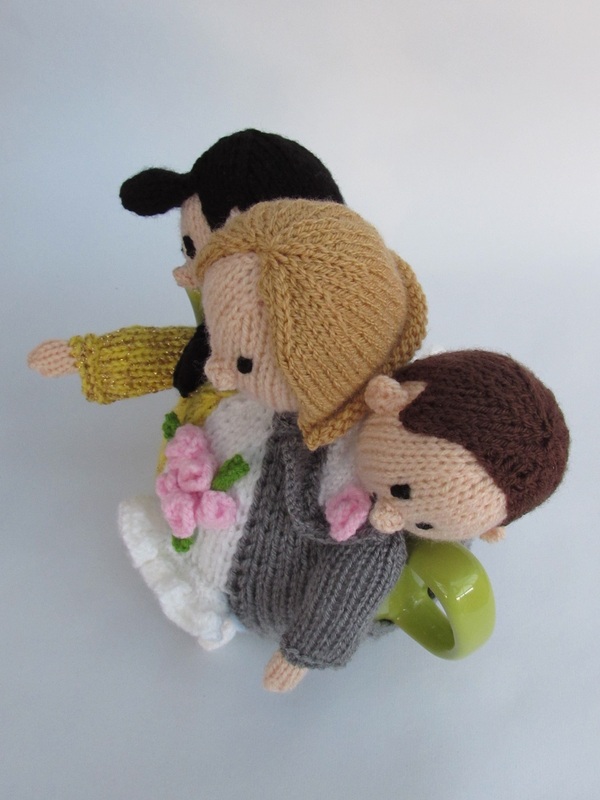 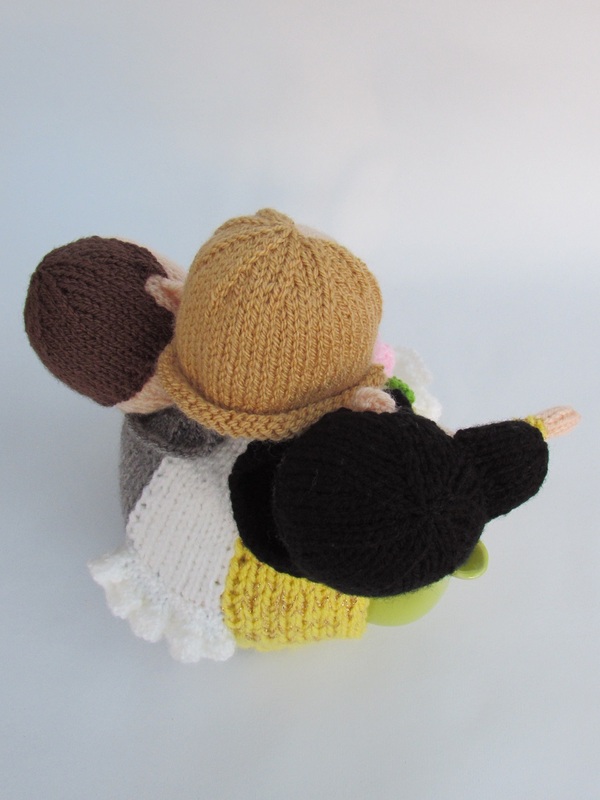 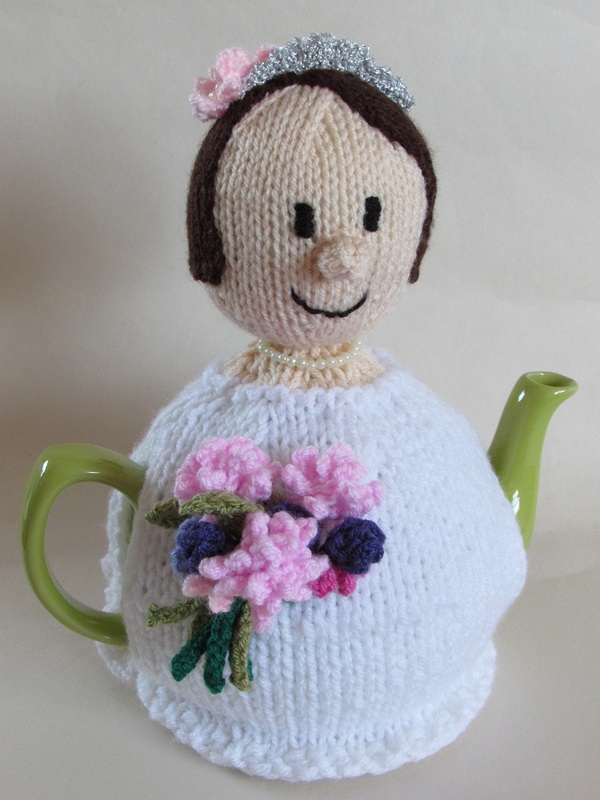 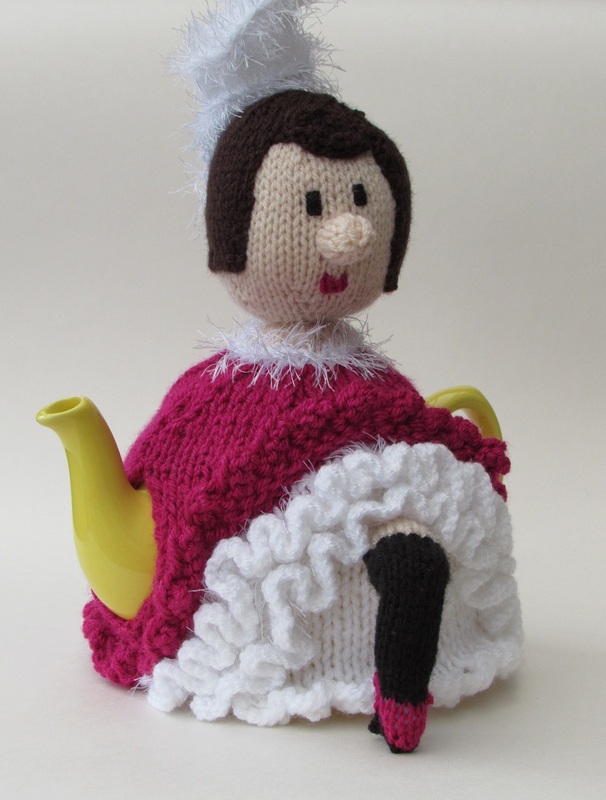 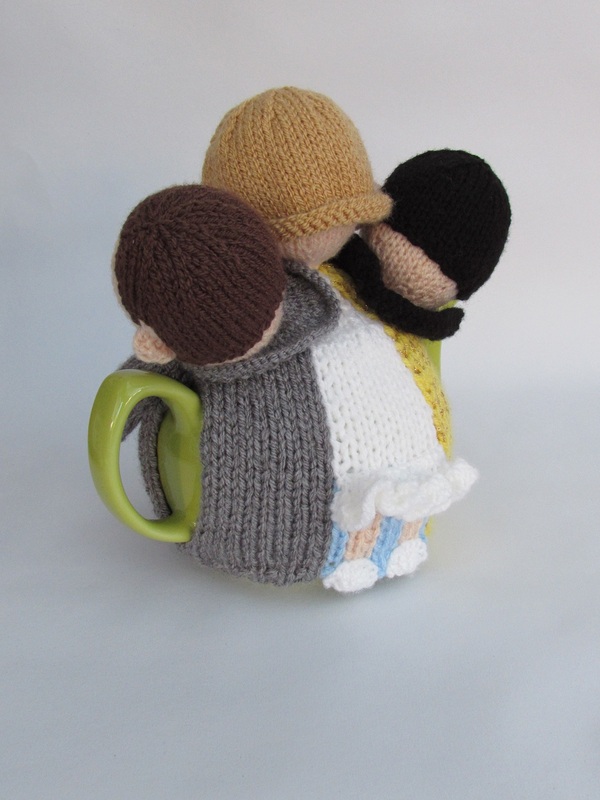 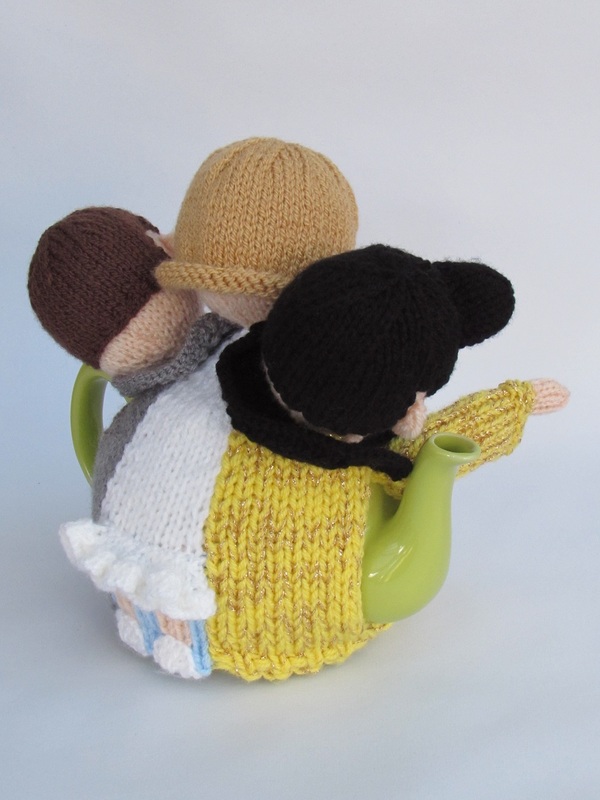 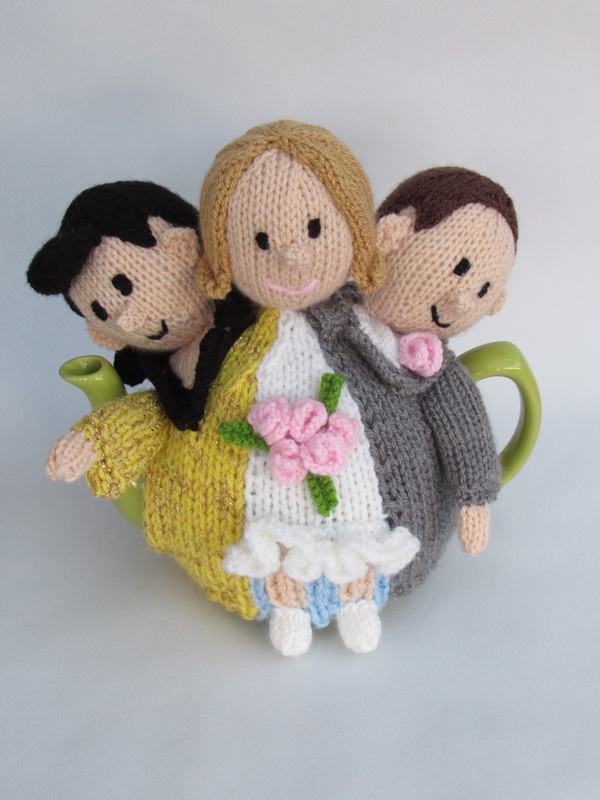 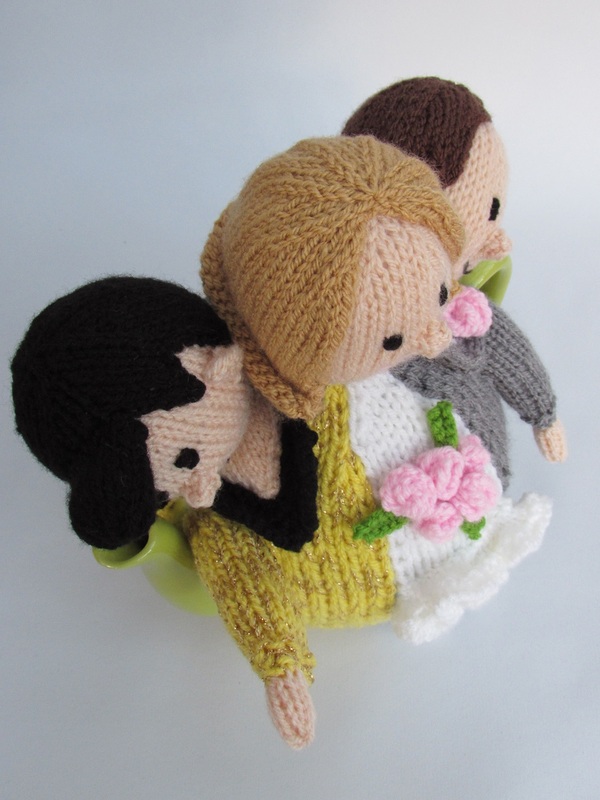 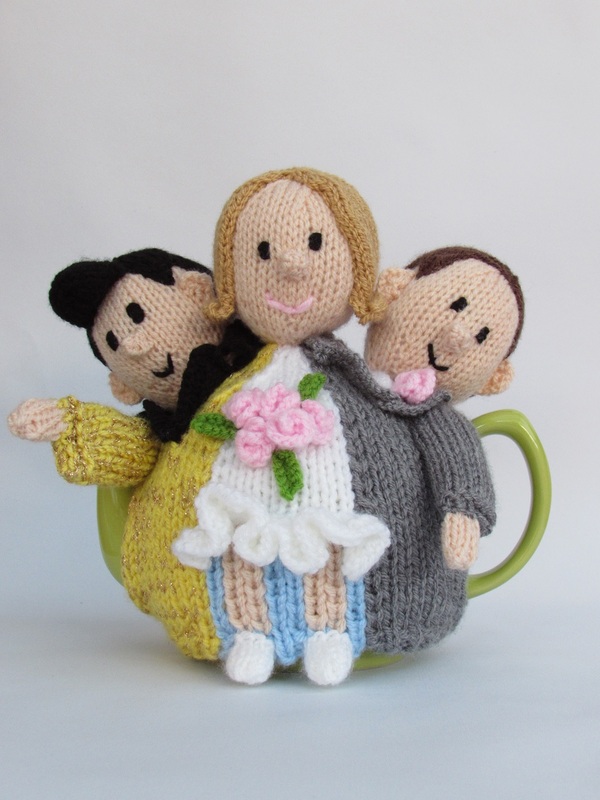 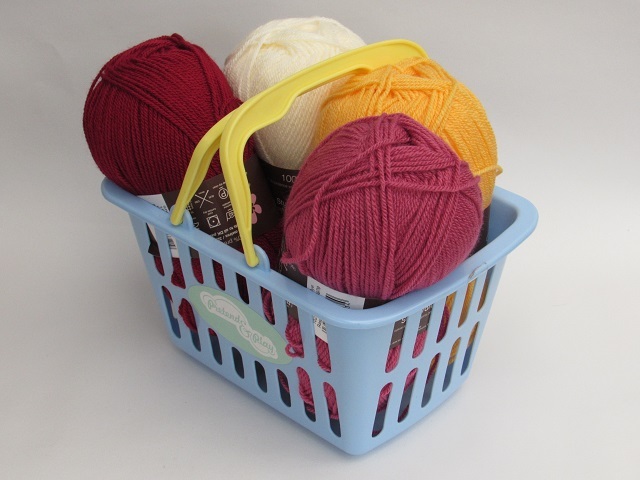 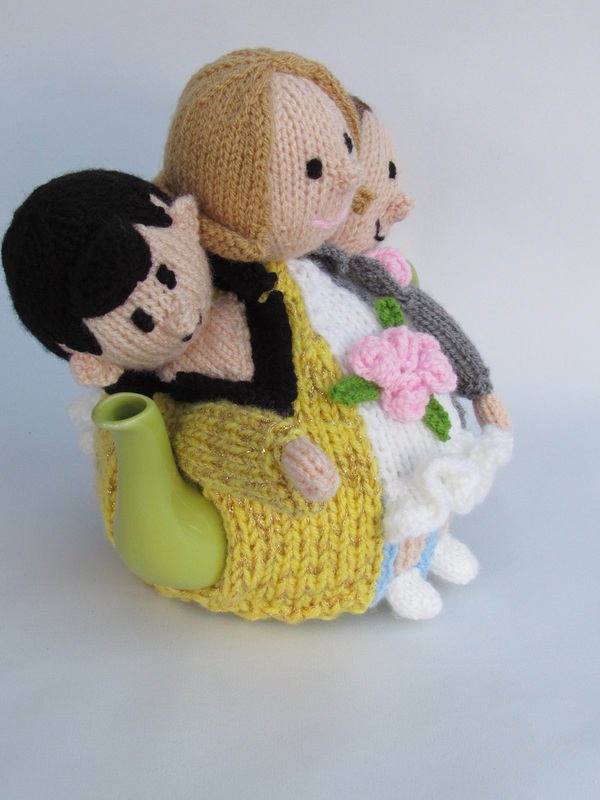 This tea cosy could easily be knitted in colours to suit your bride and groom and Elvis to personalize the characters and to make a beautiful wedding keepsake.